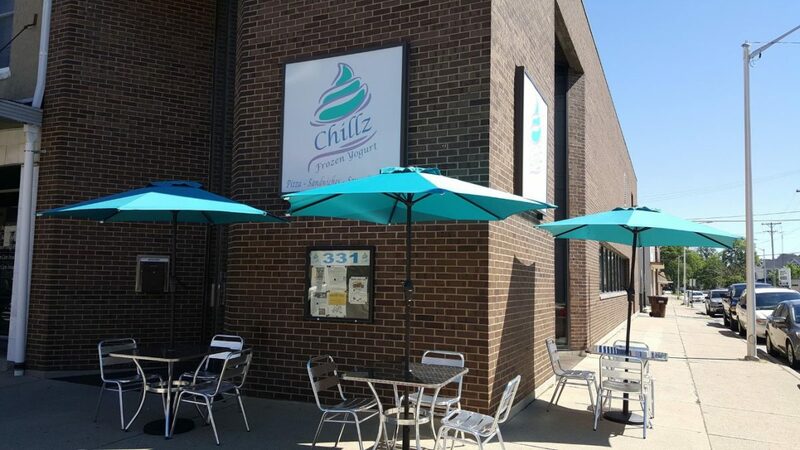 ﻿ Chillz Frozen Yogurt - Ohio. Find It Here. Downtown Greenville's fro-yo destination! Chillz Frozen Yogurt offers self-serve frozen yogurt sold by the ounce, as well as specialty drinks, including bubble teas in a variety of flavors, with green or black tea. Chillz also offers a wide selection of "grand and go" lunch favorites, including hot dogs, breadsticks, and more. Frozen yogurt flavors rotate seasonally, so be sure to stop back often!